but we insist on making it complicated." 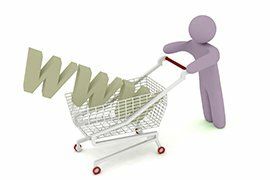 QCommerce is dedicated to help the small business owner create an online presence. Whether you want something small to advertise your service or are planning to launch a new e-commerce business with room to grow, QCommerce is here to help you make a SUCCUSSFUL START! Web designed tailored to your needs. Offering static and ecommerce plans. Security & reliability at your fingertips.